You can spruce up ANY store bought top with crochet! 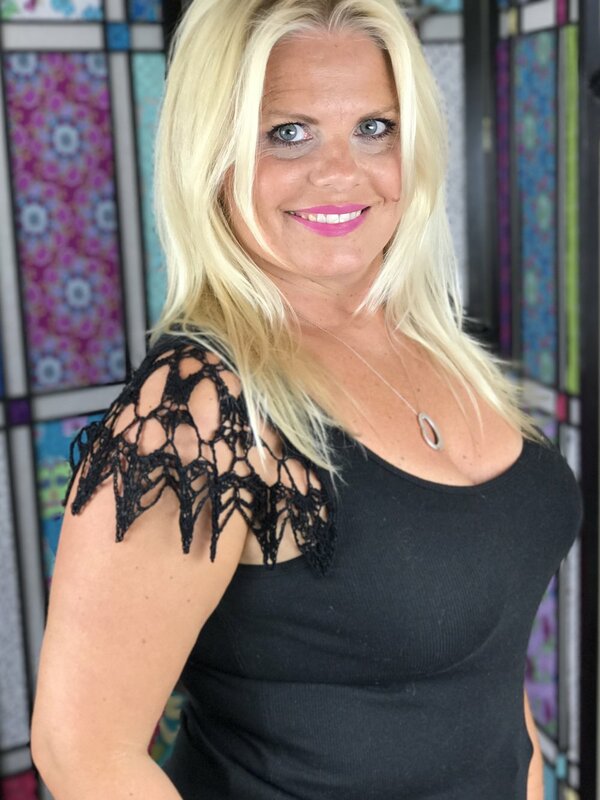 A simple tank top, sleeveless top or sleeveless dress can be transformed into something spectacular with this simple half-circle crochet lace motif. Scroll to the bottom of this free patern page to watch the video tutorial and to download the PDF pattern for printing. Row 4: *In next ch7 sp work (sc, hdc, 2dc, 5tr, 2dc, hdc, sc). Rep from * across. Row 5: slst in ea of next 6 sts, ch3 (counts as dc), dc in same st, in next st work (2dc, ch3, 2dc), 2dc in next st, *ch3, skip next 10 sts, 2dc in next st, (2dc, ch3, 2dc) in next st, 2dc in next st. Rep from * to end. Sew to sleeve opening on any tank top or sleeveless dress!